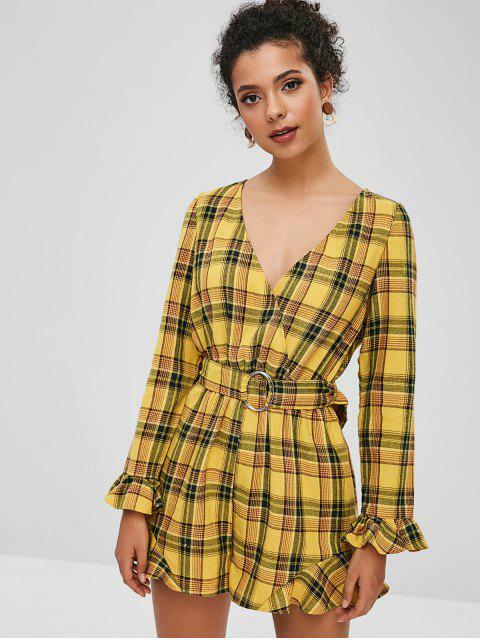 [44% OFF] 2019 ZAFUL Ruffles Plaid Belted Wide Leg Romper In YELLOW | ZAFUL .. 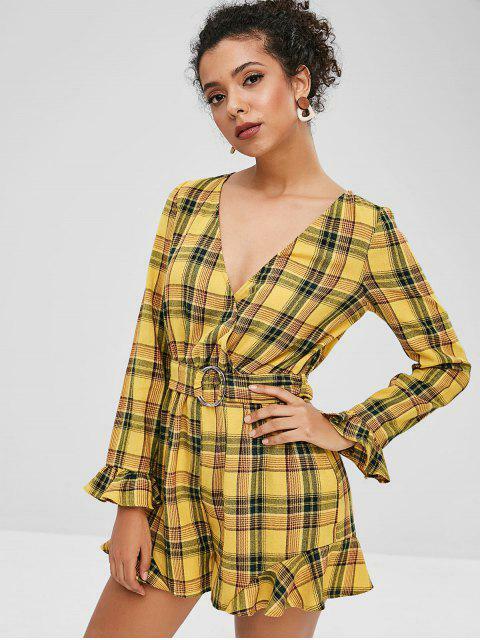 This trendy romper features a v collarline, long sleeves with flared cuffs, retro plaid pattern throughout, and pretty ruffle hemline, in a loose surplice fit. 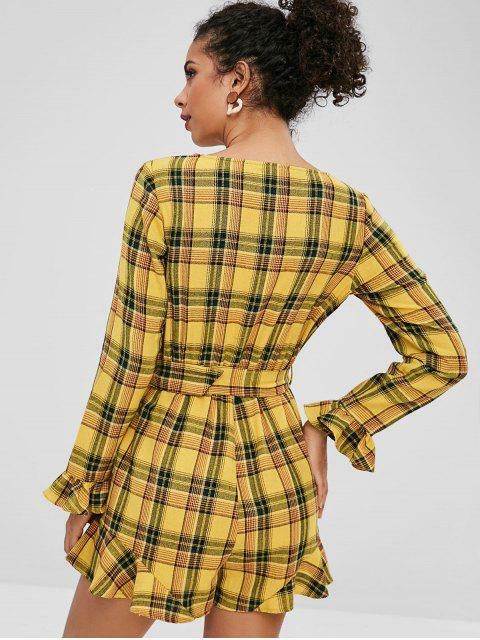 The matching belt with ring embellishment adds a slim waist effect.